KAMPALA -The former shareholders of the defunct Greenland Bank have faulted Bank of Uganda for mismanaging the property of the institution and demanded 700 billion shillings as compensation. 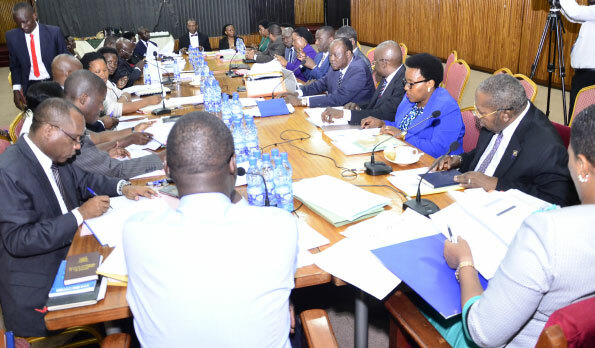 However, appearing before Parliament’s Committee on Commissions, Statutory Authorities and State Enterprises on Tuesday, the shareholders led by Mr Ahmed Nsubuga accused BoU of selling customer loans of the defunct bank at less than the value of the secured loans. Mr Nsubuga presented a list of areas for accountability, among them computed residual interest worth Ushs171.6 bn and another Shs43 bn paid by Greenland Bank to privatization unit. He also highlighted the need to recover Shs147.9 bn as of 1999 (valued at 484.4bn today), which is a computation of the total asset base of the bank at the time of closure. “During the period December 5, 1998, and March 31, 1999, when Bank of Uganda was managing the bank, it failed to win depositors confidence subsequent to which a number of depositors withdrew their deposits which culminated into discontinuation of the operations of Greenland bank,” said Mr Nsubuga said. The shareholders have asked the committee to task Bank of Uganda officials to explain the whereabouts of proceeds from the disposals of shares in Greenland Bank Tanzania, Kenya and Zanzibar and all other bank assets in Tanzania.